Time is running fast. It has been over a week since I write the last post. On the one hand -I’ve been busy. Work, family, hobby – lots of different stuff. On the other hand – no excuses. This break is way too long. It cannot happen again. I find this blog as a great self-motivating tool and it will be updated more often. It’s just necessary and fun thing to do. Ok. Long story short. Today I’ve played my first Warhammer Fantasy Battle game with my entire Skaven army painted. And this is one of the reasons (or even the main reason) I had a very little time to update my blog. I’m not talking about preparing sneaky clever Skaven tactics for last two weeks of course. I was just super busy with painting those damn rats (the swarm is never ends, you know) before the battle. I made it and finally I managed to play the game, for the first time in my life – with all miniatures painted by myself (super proud:). The result and the battle report soon. Right now I’d like to show you the miniature that help me remain sane for last two weeks. I painted around 30 rats during that time, and believe me, I couldn’t stand painting only Clanrats and Slaves in turns. So, I figure out that I’ll need to add something more different to my daily (or weekly) painting routine, so I could make little break from vermin. 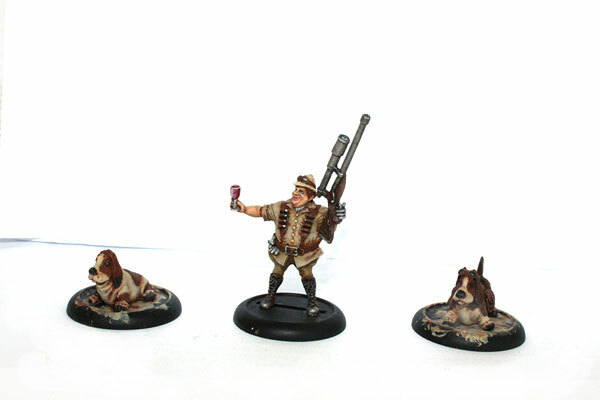 So, let me introduce you Sir Zachary Fiercebatten III and his faithful Hounds (well, kind of). 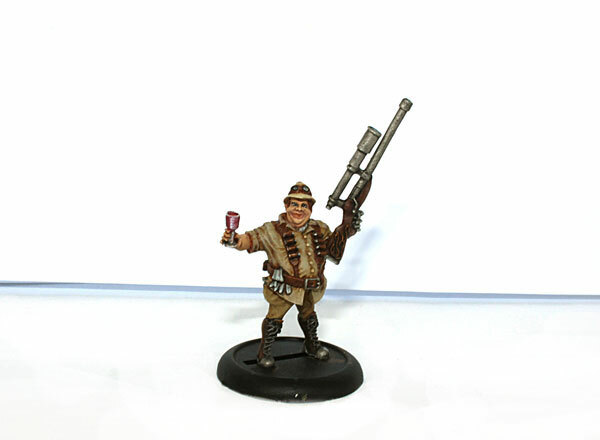 This is another miniature (after lady Eadghhsd) form Ash and Oak faction from steampunk skirmish game – Wolsung – from Polish manufacturer – Micro Art Studio. Zach loves his Basset dogs and believes them to be the greatest and bravest hunting hounds, with tracking abilities second to none. Nobody has the nerve to tell him otherwise. Oh, gosh – I could tell him if somebody would ask me! :). I know, I know – bassets are hunting dogs (used for hunting rabbits, for example), but when I look at those dogs models, I can’t resists the feeling that, they are just too lazy to do anything, not even mentioning hunting. They look as lazy and their master – Sir Zachary III. I just knew for the first time I saw them, I’m going to paint them someday – and, look at that, I finished them right now, and together with their owner are standing in my cabinet. In near future, I’m planning to complete my small group of Ash and Oak. I already have starter box for this faction (unpainted), Abinav Singh (unpainted), Lady Ellendeanne (painted – take a look at her here) and the last but not least – Sir Zach III (painted). I hope this gives me some nice ‘gang’ to play Wolsung. So far, I’m satisfied – I started to purchasing Wolsung’s models because of how they are sculpted. When I put my hands on few of them, I was more then sure, I’ll need more! Now, slowly I’ll be completing my faction – I should finish all of The Ash and Oak in couple of moths. All’s left is to find some Wolsung players in the area and play:). Ahh..I forgot about one thing – my minis still lack of proper bases. Lucky for me Micro Art Studio produce awesome resin bases for SF, Fantasy and of course Steampunk. My next order will be including those round Cobblestone Bases for the minis. They will be just perfect for Ash and Oak. 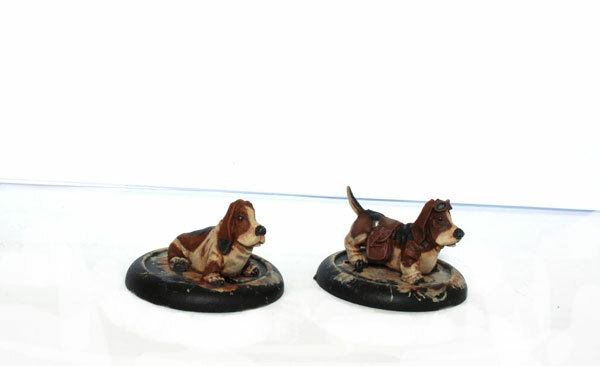 They might look little bit pricey – but I already have bases from Micro Art and the quality is awesome (and beside bases – rulebook for Wolsung – I got pulled in by the fluff – became big fan here. Expect some more posts about Wolsung:). On the workbench, not even the small part of Skaven slaves or Clan Rats. ufff…. 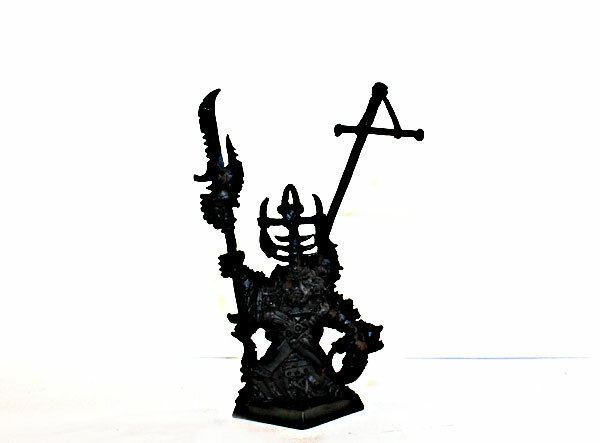 I’ll be working on one of my favourite miniatures of all Old World – Ikit Claw himself (5th edition metal version). It’s going to be one of these moments of unforgettable pleasure. Can’t wait ! What’s next? That nice 5th ed. Ikit Claw! I have big plans for Ikit Claw – he is going to be general of my army for upcoming battle of Warhammer Fantasy 5th edition I’m going to play soon against Empire. There is no other option for general:). Only Ikit. There will be finally some travelling Game of Travel again, and I’m looking forward for it with anticipation. I’m going for three weeks road trip to Czech Republic, Germany and Netherlands. I will be in Amsterdam and Prague for sure, and I’ll have a chance to visit local hobby stores. Great deal for me. Last weekend I was In Lepizig, Germany. Nice excursion for couple of days – I was hoping to post some pictures from local official GW shop. Unfortunately they didn’t allowed me to put any photos here. Well, too bad. No story from Leipzig here then – you need to wait for my reports, until I get back from my short trip. Nice painting, especially those basset hounds. They look wonderful. I’m not so keen on the scuplting of Sir Zachary; the idea is really nice but the tiny legs constrast too much with the big body. I don’t play Wolsung (yet) but there is some mention of it over on the Steinberg Shed Space blog, for example here. Wolsung’s miniatures are great. I finally have to finish Ash and Oak band and play eventually:) And I think Zach’s sculpting is just a matter of taste. I like it:) cheers! Well done on getting your first ‘owned & painted’ game in mate – be proud, it’s a hell of an achievement! Can’t wait to read the report & find out how it went, who won, what you learned, and what you’re planning next!